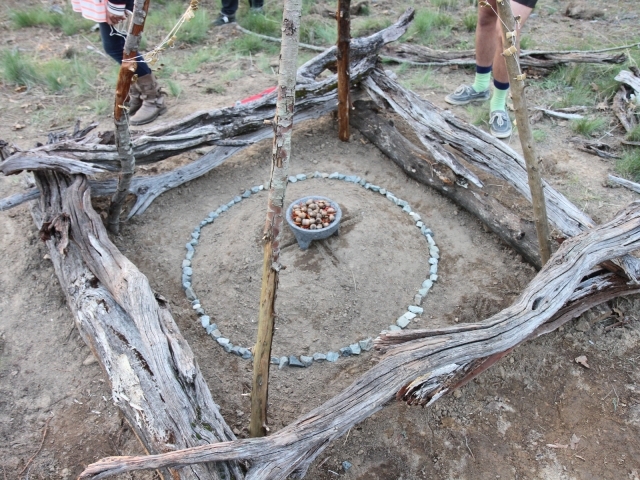 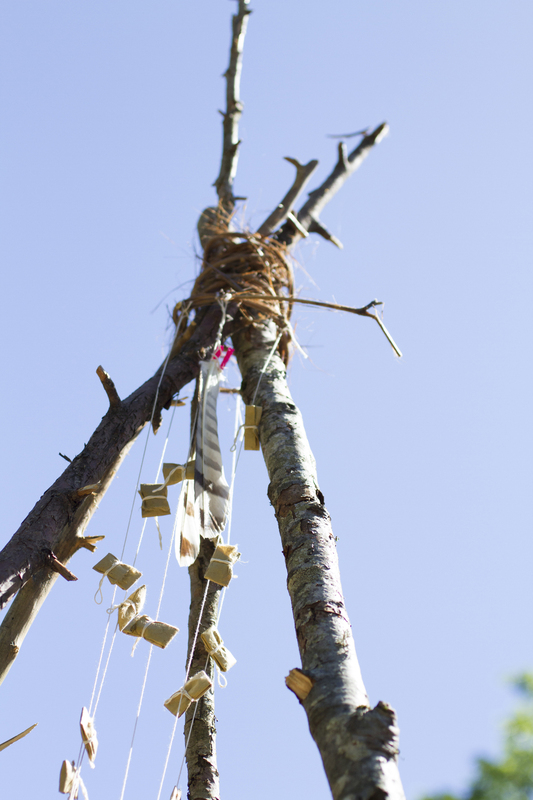 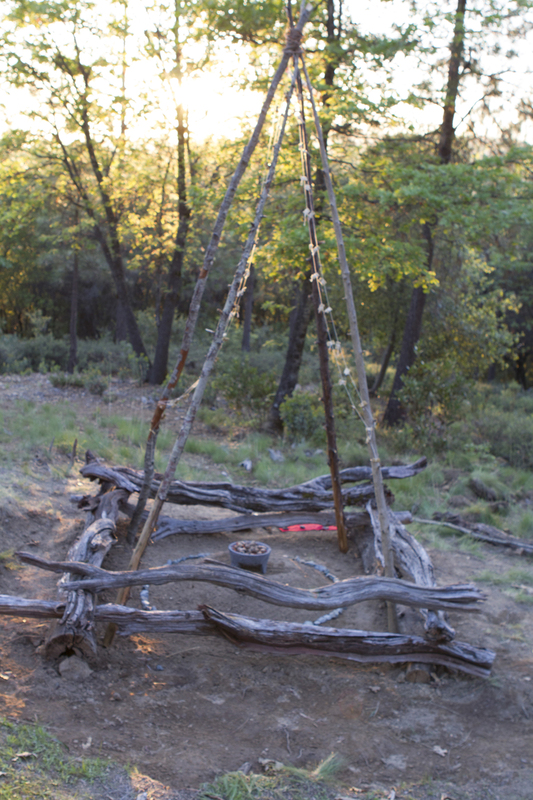 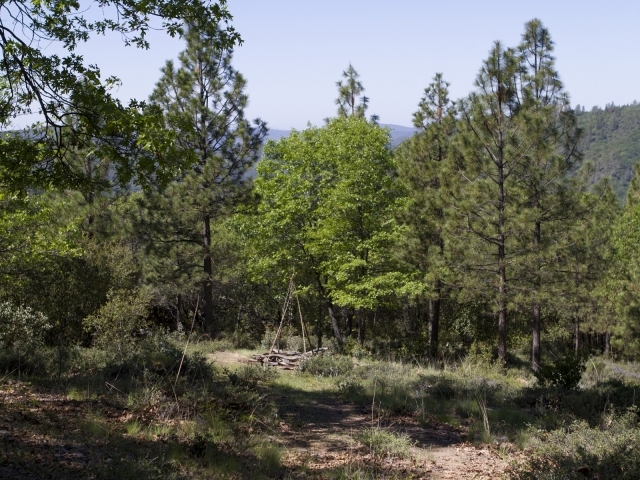 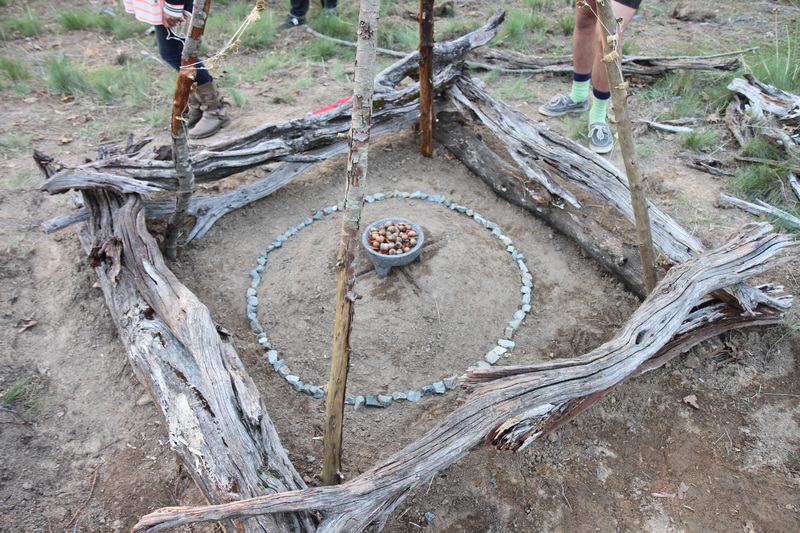 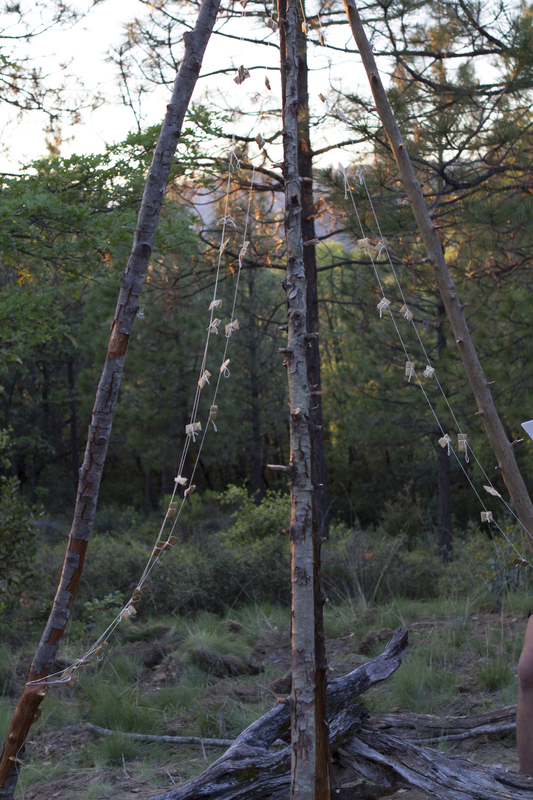 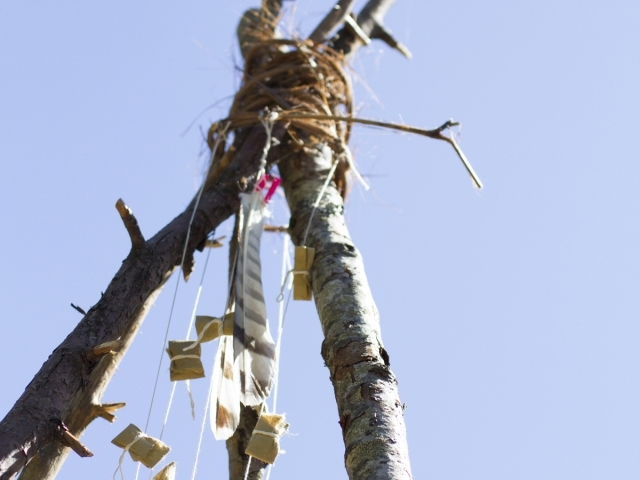 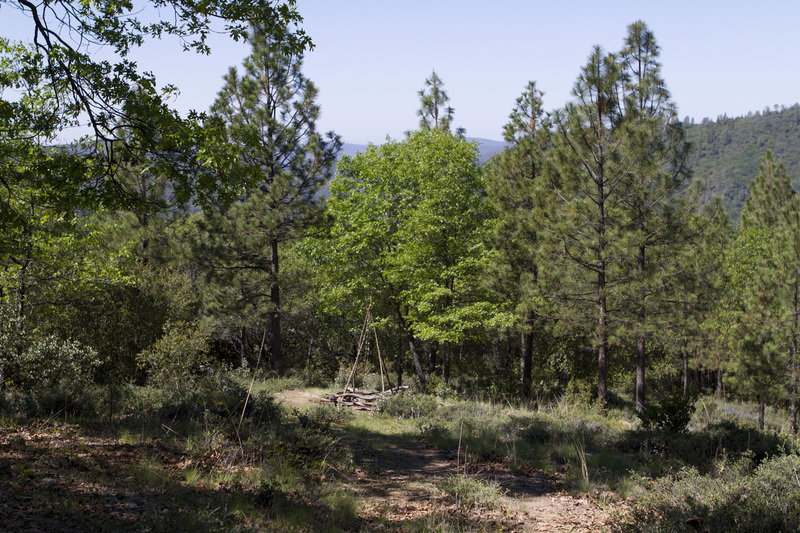 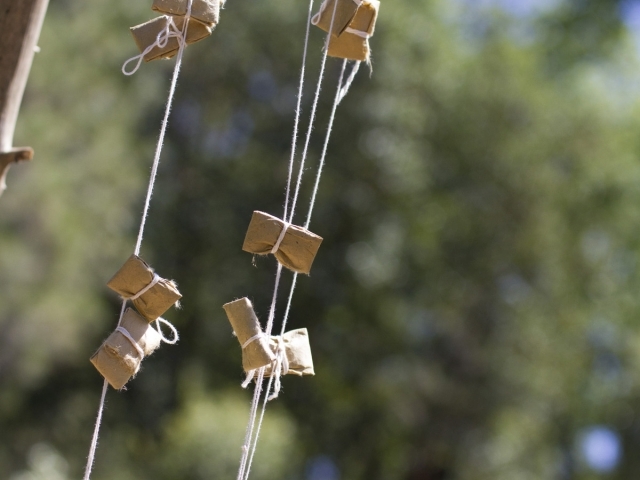 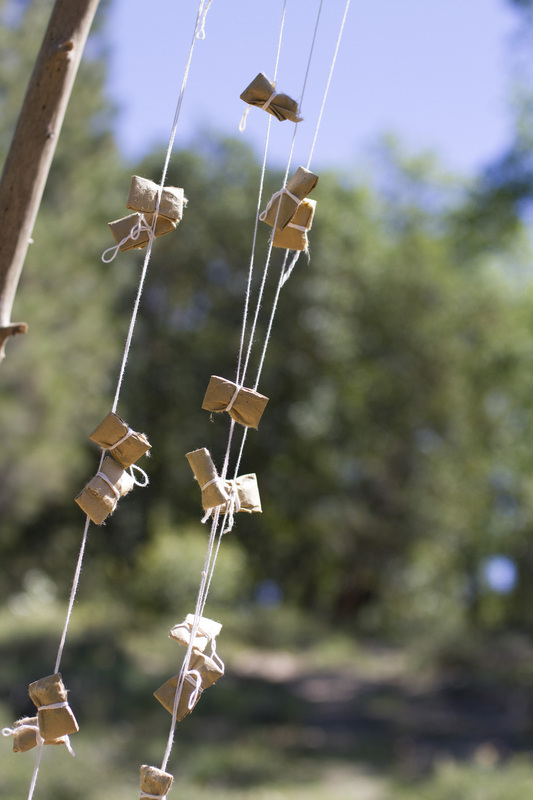 An alter installation on occupied Nisenan land/Fore-Site Foundation, Nevada City. 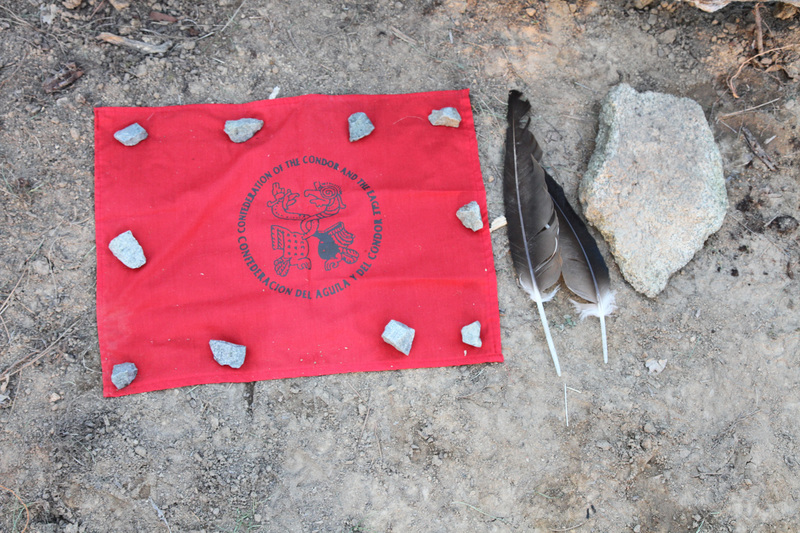 As a guest on Nisenan land my intention was to create an alter on the mountainside facing the west and the setting sun, the place from where the Nisenan come from and the road people take to the afterlife. 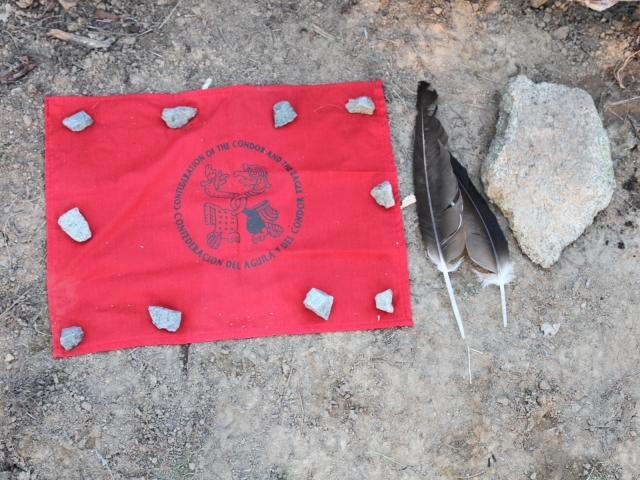 The alter was made for the ancestors who have gone onto the spirit world and those who were displaced from their ancestral lands and are no longer able to use that ceremonial place. 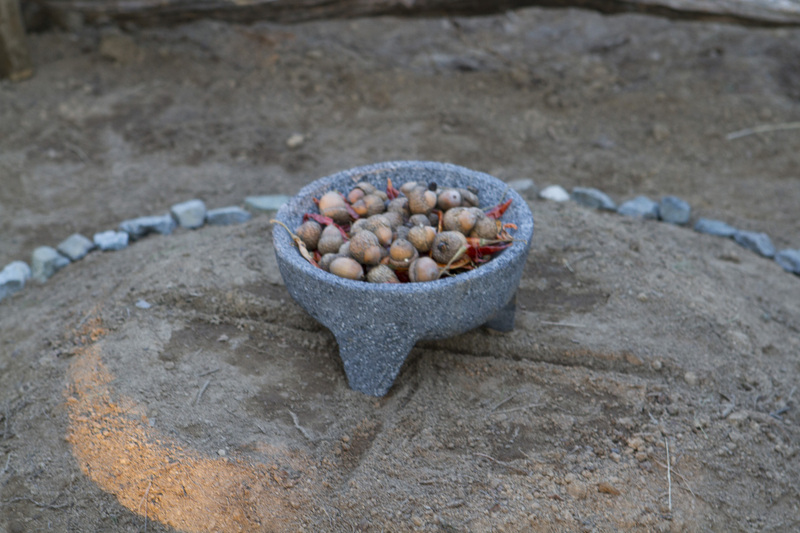 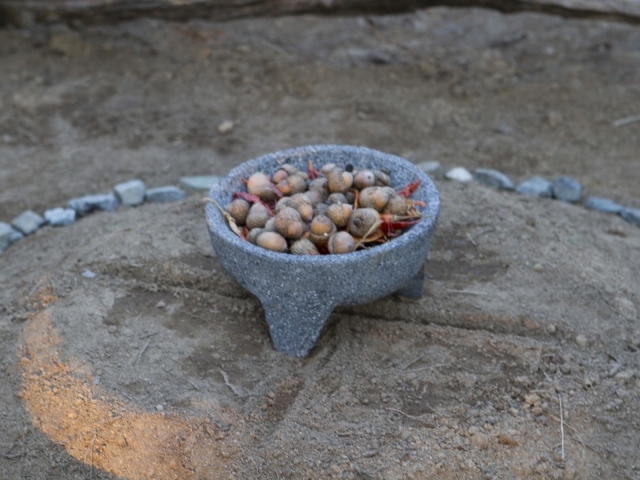 The alter took the form of a large scale ceremonial Mexican fireplace, inside of which held prayer ties along with food offerings of acorns and chiles de arbol held in a molcajete, a Mexican version of the local bedrock mortars. 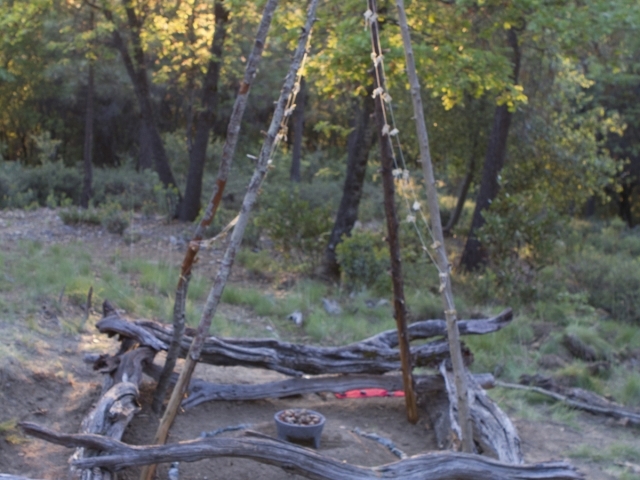 The alter was set on fire after living on the side of the mountain for 21 days. 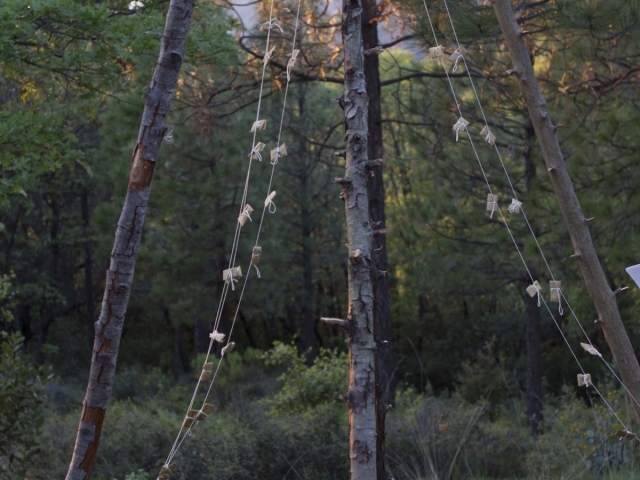 Materials: Manzanita logs, cedar poles, vines, earth, rocks, molcajete, chiles, acorns, prayer ties (tobacco, lokta paper, string), hawk feathers.